Seafront villa, 4 bedrooms, 8-10 people. A/C and Wi-Fi. A 30 min from Biarritz. Le Cottage – An individual comfortable villa that is only 50 m. away from the beach. There is a secure parking place in the courtyard in front of the villa. There is air-conditioning with purifying filters in all the rooms. At the back of the villa, there are 2 big terraces, one of which has tables and chairs under the shade of an electric awning. On the other terrace, there is a comfortable living room in the garden close to the barbecue/ plancha grill. There is a little cabin where you can store your surfboards or other things. The outdoor shower is very practical when you come back from the beach. You can access the garden directly from the street. Pets are accepted with the agreement of the owner. The villa is well equipped. In the kitchen, there is a dishwasher, a microwave oven and a classic oven, ceramic hobs, small necessary household appliances (coffee machine, toaster, kettle, and pressure pan). In the laundry room there is washing machine, a tumble dryer and all you need for the ironing. In the living room, there are 2 sofas, a big television, and a DVD player. The dining room is adjacent to an office. There is broadband internet connection. On the ground floor, there is a bedroom with its bathroom. On the floor, there are 3 bedrooms. One of them has a big bed and a television. The other one has 2 single beds and the last one, which is bigger, has 2 single beds, a sofa bed, and a small television. In the bathroom, there are 2 sinks and a big walk-in shower. It is possible to add a baby bed and a high chair for children. . The owner welcomes you and is available for any information you need during your stay. Upon your request, she can reserve the rental of sheets and towels before your arrival (sheets and towels are available during high season) as well as the bicycle rental and the enrolment at one of the most famous surf schools that is located only 50 m. away from the villa (there is a 10% discount for our tenants). You can do many activities and go for walks. It is 500 m. away from the popular golf club of Seignosse. It is 800 m. away from Hossegor and Capbreton. 25 km away from Bayonne and Dax, 35 km away from Biarrtiz, 45 km away from Spain. We offer you a seasonal rental from the end of October to the end of April 2016, which means that you can spend winter in our beautiful and temperate region. The monthly price is interesting especially for 2 people. Cheap heating through a heat pump. We are available for any further information. A lovely house with an enclosed garden, private off road parking, air conditioning and all mod cons. The house is only seconds away from a beautiful clean beach. The owner Reine met us on our arrival and gave us comprehensive information and a really good welcome (including our dog). She lives in Capbretton and is always available by phone if you have any questions. Prior to us travelling to France, she was extremely helpful with the booking. The garden has shade and sun somewhere throughout the day so would suit everyone. The area has many attractions and is extremely bike and walking friendly. We will without doubt go the Le Cottage again. We had a wonderful two weeks barbequing the wonderful fish that is available at the market, eating out (loved the Touring Café in Hossegor) There are good restaurants within walking distance too if you don't fancy the short drive to Hossegor. Great choice for us. Propriétaire agréable. La location est très fonctionnel pour 2 couples avec enfants ( 4). les plus : - a 5 min de la plage à pieds. - maison avec terrasse agréable. Maison très agréable , très bien située et une propriétaire charmante ! emplacement excellent, villa confortable mais pas très propre, à ce prix là, nous aurions aimé ne pas avoir à laver tout ce que nous touchions. il aura fallu attendre le mois de décembre pour lire votre rapport du mois d'août et quel rapport!! 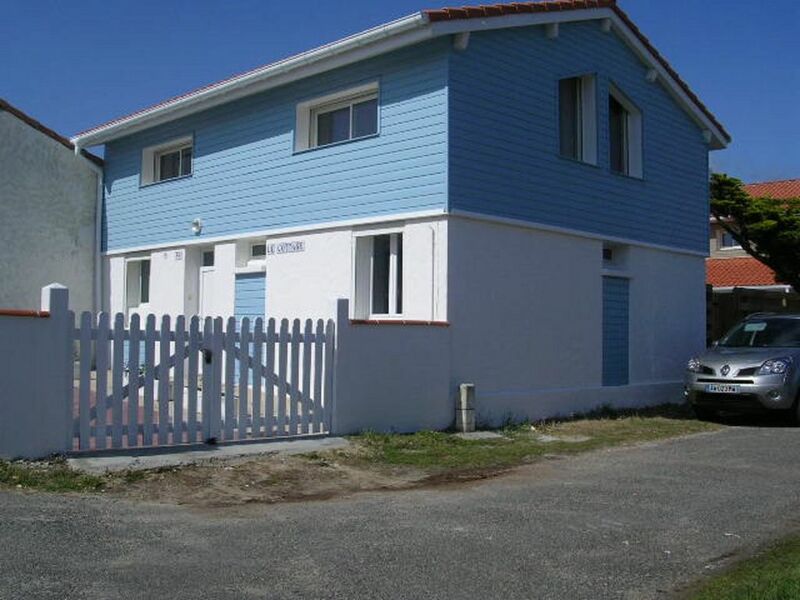 Super séjour dans cette maison idéalement située tout proche de la plage. La maison est bien équipée et fonctionnelle. Nous avons beaucoup apprécié la plancha et la terrasse. La propriétaire était très accueillante. En conclusion, la maison correspond bien à la description de l'annonce et nous sommes très satisfaits de notre séjour. Charmante maison très proche de la plage. Propre, bien équipée, terrasse très agréable, très bon accueil de la propriétaire. Je recommande vivement.